Hugh "Gene" Lewey, 84, of the Kansas City Northland, passed away October 2, 2018, at North Kansas City Hospital. Visitation will be held from 5:30-7:30 pm Thursday, October 4, and services celebrating Gene's life on Friday, October 5, all at Park Lawn Northland Chapel, I-35 at State Route 291, Liberty, MO. Burial will follow in Antioch Cemetery, Holt, MO. In lieu of flowers, memorials are suggested to St. Jude Children's Hospital. Gene was born August 8, 1934, in Buffalo, MO, the third of four children of Hugh Calvin and Opal (Clark) Lewey. Along with his parents, Gene was preceded in death by his wife, Janice (Arnold) Lewey; and brother, Harold Lewey. 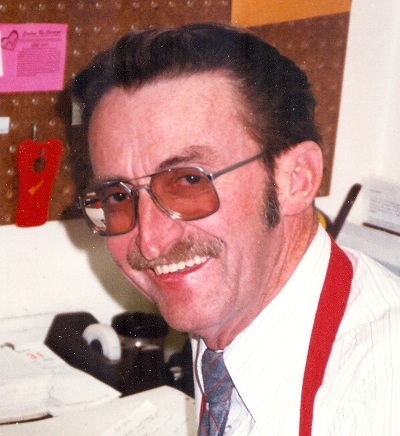 Gene worked many years in the grocery business for Kroger from 1955 to 1976 and for Price Chopper in Liberty from 1976 until retirement in 1996. He was a member of the Retail Clerks' Union, a former member of Liberty Sertoma, and was active in Scouting and an Honorary Warrior in the Tribe of Mic-O-Say. Survivors include his children, Scot Lewey (Julie Leblanc), Doug Lewey (Betsy) and Diane Lewey (Jack Collins); grandchildren, Josh Lewey (Michelle), Aaron Lewey (Jess), Ray Lewey (Nora), Jacob Lewey, Kerstin Lewey, Jack Lewey, Amanda Lewey, David Lewey (Emily), Jessica Dahlberg (Dustin) and Sarah Lewey (Allie); three great grandchildren, Brenna, Penelope and Theodore; brother, Bill Lewey (Mildred); sister, Jessie Keeton (Charlie, deceased); and numerous nieces and nephews.